Forth Environment Link (FEL) is a Scottish environmental charity leading the way on connecting people and place. FEL supports more day to day journeys on foot or by bike; encourages more local food to be grown and eaten in our communities; and helps increase the lifespan of our everyday items. The following values underpin our activity as an organisation: • People first - Investing in our team to ensure we can provide tailored support where it is needed most. • Enabling – Delivering activity in a way that is practical, easy to understand and accessible to everyone. • Collaborative - Ensuring we work in partnership to add value where we can. • Innovative - Testing and developing new ideas and being a catalyst for change. • Passionate – Demonstrating a love for the environment and our place within it in everything we do. • Fair – Working in a way that is inclusive and reflects the needs of the people and communities we work with. Our strategic approach reflects our ambition as an organisation and recognises the role third sector will perform in delivering national outcomes at a local and regional level. People first - Investing in our team to ensure we can provide tailored support where it is needed most. Enabling – Delivering activity in a way that is practical, easy to understand and accessible to everyone. Collaborative - Ensuring we work in partnership to add value where we can. Innovative - Testing and developing new ideas and being a catalyst for change. Passionate – In everything we do, we demonstrate a love for the environment and our place within it. Fair – Working in a way that is inclusive and reflects the needs of the people and communities we work with. Our strategic approach reflects our ambition as an organisation and recognises the role third sector will perform in delivering national outcomes at a local and regional level. In recognition of the ever-changing landscape of the organisation, Forth Environment Link would like to appoint new Trustees to expand the current knowledge-base and diversity of the Board. We would particularly welcome applications from young people or those with a youth perspective, as this area is currently under represented on the Board. 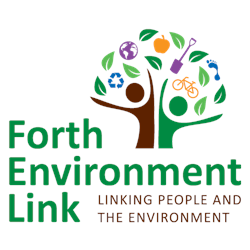 Forth Environment Link (FEL) is a Scottish environmental charity leading the way on connecting people and place. FEL supports more day to day journeys on foot or by bike; encourages more local food to be grown and eaten in our communities; and helps increase the lifespan of our everyday items. · People first- Investing in our team to ensure we can provide tailored support where it is needed most. · Enabling – Delivering activity in a way that is practical, easy to understand and accessible to everyone. · Collaborative - Ensuring we work in partnership to add value where we can. · Innovative - Testing and developing new ideas and being a catalyst for change. · Passionate – Demonstrating a love for the environment and our place within it in everything we do. · Fair – Working in a way that is inclusive and reflects the needs of the people and communities we work with. Forth Environment Link’s (FEL) Falkirk Active Travel Hub aims to promote and increase cycling and walking for day to day journeys. Based in Falkirk High Street, the Hub provides: information and resources on cycling and walking; advice on low carbon travel options; information on and access to relevant training; partnership support and signposting to events in the local community designed to increase active travel. This new role will work as part of Forth Environment Link’s Active Travel team to deliver dedicated support to the pupils of Lornshill Academy, Alloa, to improve awareness of active travel choices and foster an active travel culture within the school. The project will be delivered equally between Falkirk Active Travel Hub and Lornshill Academy, where a targeted programme of engagement and activities will be delivered throughout the academic year. You will work closely with Lornshill Academy teaching staff and pupils to identify opportunities to support and encourage more active travel journeys, ensuring that the initiative engages and informs pupils in a learning and lifestyle context. You will be an ambassador for active travel in the community, working closely with key local stakeholders to provide cycling, walking and public transport related information and services to staff and pupils. You will develop and deliver ‘in-school’ educational programmes which will engage, encourage and support pupils to consider more environmentally friendly and physically active modes of transport contributing to health, education and attainment outcomes. FEL is working in partnership with bike sharing company Bewegen Technologies to establish the UK’s first cross regional electric bicycle scheme. Bewegen is a Canadian company that has created an innovative bike share system featuring world-class electric-assist bicycle technology. Working as part of FEL’s Active Travel team, you will work closely with key local stakeholders to deliver, promote and support Forth Bike, the public e-bike share provision and its development in Forth Valley and more widely. You will take a lead on developing the Forth Bike promotion and marketing program, working closely with the service provider, Bewegen, and its subsidiary WeGoShare. You will ensure the scheme operates effectively, providing the best possible service for stakeholders and the public. In line with Scottish Government’s Active Travel ambition to ‘subsidise bike hire for jobseekers, modern apprentices, young people and students’, you will also increase access to and participation in the scheme by leading initiatives to secure corporate memberships and introducing e-bike share access/subsidy for harder to reach or disadvantaged groups. As part of FEL’s Active Travel team you will support the work of Stirling and Falkirk Active Travel Hubs providing cycle and walking-related information and referral services to the public as well as planning and delivering outreach activities.